What telescope should I buy for myself or my child? I saw a 600-power telescope at a local department store. Is that a good deal? 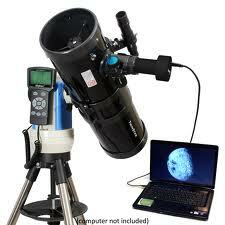 How much do I have to spend on a beginner’s telescope to have a really usable instrument? Can I build my own telescope? Do I need a telescope to see things in the sky? After the moon and bright planets, I can’t find anything else in my telescope. Why? What is the “best” telescope? I am putting up a security light. Will that hurt my views of the sky? What is the best eyepiece for my telescope? Can I take photographs of things in the sky? I'm an absolute beginner, can you give me a quick primer on astronomy and telescopes? No. 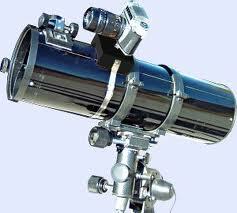 The most common “department store” telescopes we see are small (60mm) refractors or cheap reflectors with plastic optics, terrible, dim eyepieces, and a wobbly mount. STAY AWAY FROM DEPARTMENT STORE TELESCOPES! These things tend to frustrate budding amateur astronomers and can turn them off of astronomy really quick. The three most important things in any great, easy-to-use telescope are: high quality optics, a rock-stable mount, and sufficient aperture (mirror or lens diameter) to see interesting objects. The typical department-store telescope has none of these things. If you are wanting a good beginner telescope FWAS recommends searching for reputable local stores that specialize in selling telescopes, or websites like Orion Telescopes that have a track record of selling quality telescopes to beginners for reasonable prices. If you are wanting to really get into the hobby of amateur astronomy and want a serious beginner's telescope, you will want something no smaller than a 6-inch aperture reflector. 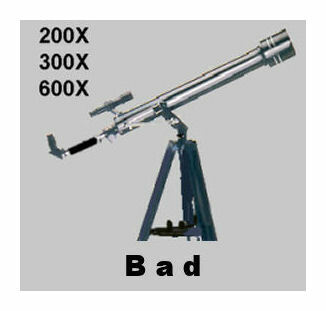 Those run about $300 to $500 (on a Dobsonian mount). 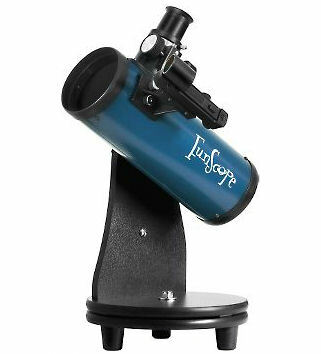 If you are still not sure and are only willing to spend $100 or less, do not buy a cheap department store telescope. 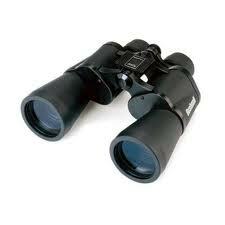 Get yourself a nice pair of 10X50 binoculars. Many of our members started out using binoculars when they first got interested in astronomy. There are many deep sky objects that are well within the ability to see in binoculars. And if you don't end up pursuing astronomy as your hobby you'll at least have a decent pair to use at the football games or for bird watching! If, however, you still want an actual telescope, an inexpensive smaller telescope that we CAN recommend for beginners in the $50 range, is the 76mm (3-inch) FunScope reflecting table-top telescope by Orion Telescopes. It's a small inexpensive scope to start with, but has good quality optics and takes standard 1.25 inch telescope eyepieces. The FunScope can also be attached to a standard camera tripod for field use. It comes with the Red Dot finder scope and two eyepieces. It's ready to use out of the box. This is one of the best low-cost, beginner telescopes on the market. Plus its size, ease of use and accessories that come with it make it just right for a first telescope for kids and intimidated adults without having to invest in a $100+ system. This way, in case you or the kids don't pursue the hobby you haven't invested a ton of money, and these are easy to resell. Yes you can! Telescopes aren't rocket science. The basic technology for telescopes hasn't changes much in 200-300 years since Galileo (early 1600's - refractors) and Newton (late 1600's - reflectors) invented the two main types of telescopes used by amateur astronomers today, using the same techniques. 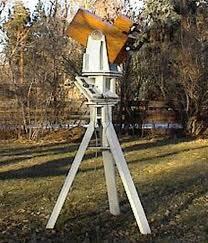 As a matter of fact, the easiest mount to build for amateur telescope makers, the alt-azimuth dobsonian mount, was actually invented by an amateur astronomer in the late 60's named John Dobson, in San Francisco. 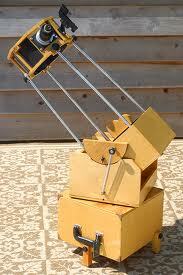 In fact most Newtonian reflector telescopes sold with this mount are now simply called "Dobsonians". 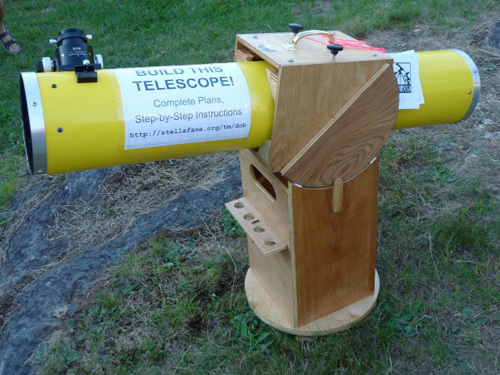 If you have even a slight mechanical ability, and a book from the library or from an online retailer, you can build your own telescope (and many other astronomical accessories for that matter). It will take a little bit of planning and time, and you won’t save a whole lot of money…but you’ll have a better instrument, and you'll have bragging rights that you built your own telescope. No. From a dark sky, away from most city lights, you can see many things such as planets, the Andromeda Galaxy, the Milky Way, some star clusters such as the Pleiades, the Lagoon Nebula, and meteors. With binoculars, you can see many more objects. Once a month, you can also attend one of our public star parties at the Tandy Hills Nature Area and look through other people’s telescopes! You need to know where to look! 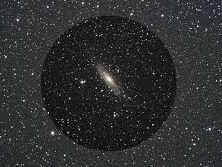 One of the first things you should do is get familiar with the night sky without a telescope, and especially without a computerized telescope. We call this "low-tech" observing. Learning your way around the night sky is like learning your way around the city from a street map. First you learn the highways and main streets, then you learn the side streets and where specific locations have what entertainment or restaurants you like. This way you can go back to them at other times without having to look up how to get there. In astronomy, eventually, you'll know the seasonal constellations and objects within them by where they reside near one another. You'll learn the roadmap of the night sky. Stick with it. Amatuer astronomy is a lifelong hobby. You have time. The visible constellations and planets changes over the course of a month and throughout the year, so start with the most obvious and brightest things you can make out and explore them and their surrounding objects. Find out about those objects and then move on from there. Don't try to learn it all at once. Eat the elephant one bite at a time. Our club holds Novice Night events specifically to teach our members that are new to the hobby how to use their equipment and learn the night sky. But you can start by checking out some of these resources we recommend. A star chart or planisphere will help you pinpoint the specific area in the sky you need. A zero power (straight-thru) finder such as a Telrad or Red Dot Finder will help you point your scope to that exact spot. A low power eyepiece will give you a bigger field of view for easier locating. 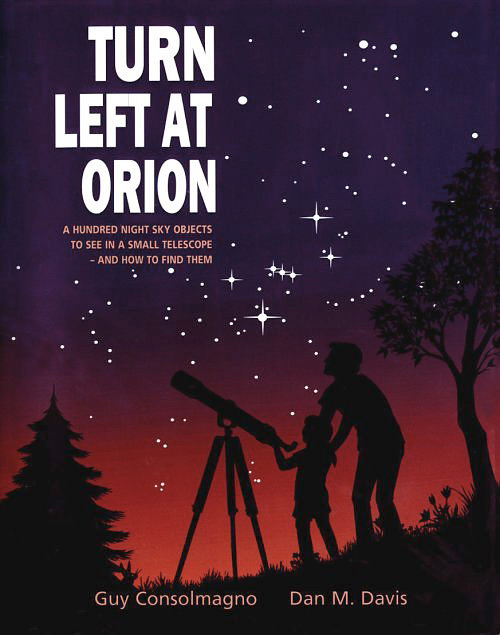 There are also several great books for beginning astronomers. One of the best to start with is Turn Left at Orion by by Guy Consolmagno and Dan M. Davis. The “best” telescope is the one you will use the most. There is no “best” design…only trade-offs. Our members are always glad to discuss these trade-offs with you. The best way to decide is to come to a public star party and look through different types of telescopes and talk to their owners about them. Doing this is something you never get from a department store, or even many stores that specialize in telescopes. Star parties are a great opportunity to test-drive many different kinds of telescopes to see what might work best for your observing requirements and finances. 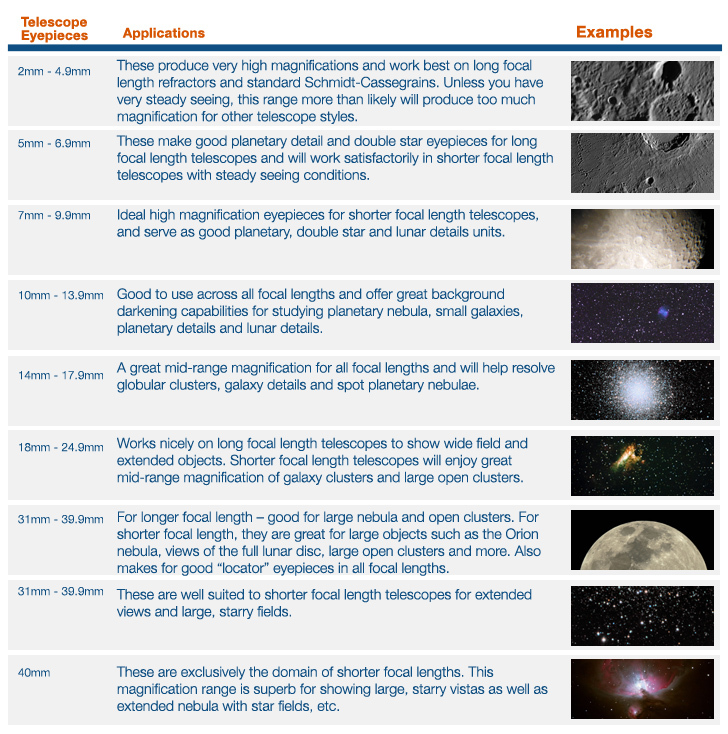 Size and weight, optics and mount - all of these can be checked out with the experience of our members as owners to ask their pros and cons of their telescope. Yes! The single worst thing to happen to amateur astronomy is the increasing use of the unshielded 175-watt dusk-to-dawn mercury vapor “security light” in rural areas. These blazing lights send a great deal of their output either sideways or up. This is a big waste, and it ruins the nighttime sky. The International Dark-Sky Association (IDA) reports that in areas where 97% of the US population live, the sky is always at least as bright as it is when there is a half Moon at one of the world's best observatory sites. For 40% of the US population it is never dark enough at night for human eyes to become adapted to night vision. 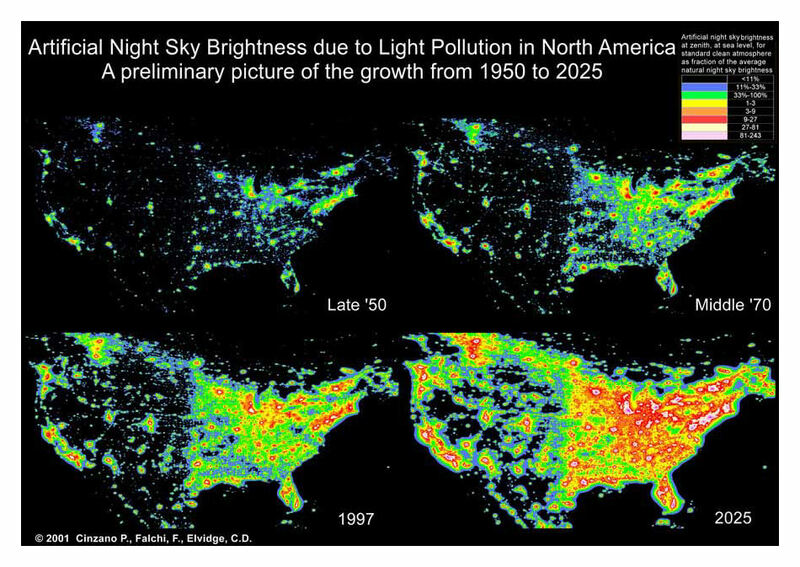 Light pollution is the reason for this. And it makes seeing something that every culture throughout human history has been able to see, study and wonder about, our own the Milky Way, impossible to see. Most children will never see this bright band of trillions of stars outside of a tv or computer screen in their lifetime. If you must install a security light, please choose a shielded “shoebox” design where the light shines in a downward cone, but not sideways or up. In addition, install a motion sensor so it only turns on when needed. We have been on rural farms where the owner could not even turn the light off! Make sure you have a switch for this. For more information, go to the International Dark-Sky Association’s website at www.darksky.org. No one eyepiece can do everything. Several are needed. You should have an eyepiece that gives the largest field of view your focuser diameter can provide. With a 1.25-inch diameter focuser, a 32mm Plossl eyepiece from Meade, Celestron, Orion, or Televue is a great choice. A medium power eyepiece in the 12 mm to 18 mm range is also good. Finally, a high power eyepiece of 6 mm to 10 mm is needed for planetary views. 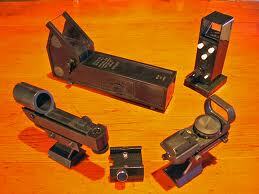 With a 2-inch focuser, the choices are more complex. 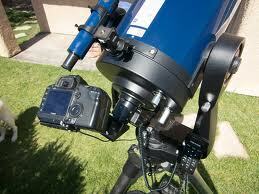 Generally, the big focusers, and subsequently the 2-inch eyepieces, are on the more expensive telescopes. If your telescope came with a 2-inch focuser and has a 1.25-inch adapter in it, stick with 1.25-inch eyepieces to start with. As mentioned before, the best way to find out what’s best for you is to come to a star party and talk to telescope owners about what eyepieces work best for various types of telescopes. Yes. The simplest way is to put your cellphone camera up to the eyepiece and snap a picture. A low power, wide field of view, eyepiece works best with this method. You'll be surprised how good some of the pictures turn out. This usually only works for the moon or the sun though. You can also mount a regular camera on the telescope tube itself and have it point down toward the end of the scope to take regular naked-eye type pictures (called "piggy back"). For fainter, more distance objects such as glaxaies, planetary nebulae, etc., you will need to photograph through the telescope, and you will probably need to invest in some specialty equipment like an eyepiece video camera (aka CCD). Astrophotography can be as simple or complex as you have the budget to make it. For the more advanced long exposure photography you'll need a motorized telescope mount to counter the rotation of the Earth, as well. Several of our club members can give you more details on this if desired.